Indulge in the elegant beauty of Chocolate by Petite Le Vian. 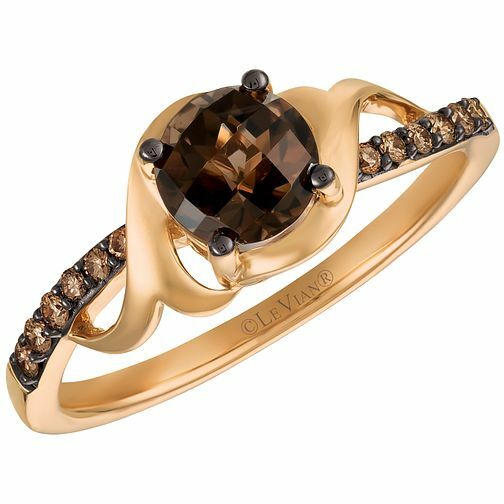 This stunning ring is crafted from sumptuous 14ct Rose Gold, while wrap shoulder detailing embraces a vibrant Chocolate Quartz. Deliciously dazzling Chocolate Diamonds add opulent sparkle for breathtaking beauty and unique, glamorous style.